It’s hard to imagine that Pacifica, a Coastside community of neat neighborhoods, was once a dumping ground for victims of the criminal underworld. The organized underworld of 1920s Prohibition-era San Francisco consisted of criminals who specialized in bootlegging, gambling, the “white slave trade,” and all the other vices that spilled onto next door neighbor Pacifica. The house was built with sun-dried bricks by Francisco Sanchez, the grantee to the Rancho San Pedro. Sanchez resided in the fine adobe between 1846 and 1862, but 50 years later, surly armed guards were posted around the dilapidated structure, the favorite rendezvous for criminals gathering in Pacifica’s remote Pedro Valley. Rumor had that the toughest lawbreakers felt safe hiding in the “Crime Shack.” Today, the beautifully restored Sanchez Adobe on Linda Mar Blvd remains an authentic reminder, perhaps the only reminder, of Spanish-American days on the Coastside. No one knew more about criminal activity at the Crime Shack than Colma Constable S.A. Landini. 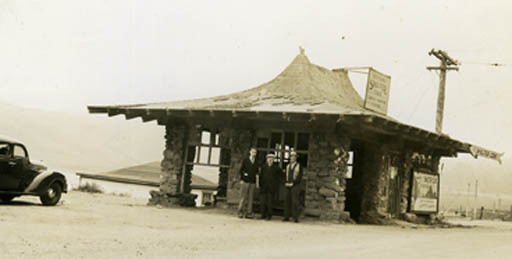 At the adobe in 1920, Landini led police officers in a shootout with a band of liquor smugglers. On another occasion, the constable arrested members of the Baciagalipi gang for robbing and murdering an elderly man. Landini also broke up a “white slave” vice ring, rescuing four young women from the sinister network. One woman, a regular at the Crime Shack, told Constable Landini that she could identify San Francisco mob leader Charles Valento as the murderer of her husband. Valento also had been identified as the killer of legendary San Francisco Police Detective Miles Jackson. A few months earlier, Detective Jackson had been the lead investigator of Dr. Galen Hickok’s “abortion mill,” housed in the famous “castle of mystery” high above Pacifica’s Salada Beach surf. The “castle,” originally built for Ocean Shore Railroad attorney Henry H. McCloskey, grandfather of former Congressman “Pete” McCloskey, still stands overlooking Pacifica’s busy Municipal Fishing Pier. Three days after testifying for prosecutors in the Hickok trial, held under the dome of the Redwood City Courthouse, Detective Jackson was gunned down by gangster Charles Valento in a brutal shootout in Santa Rosa. Unable to elude the authorities, Valento was captured and jailed. Revenge for Detective Jackson’s death came swiftly. In Wild West vigilante style, a party of 100 masked men in 15 automobiles burst into the Santa Rosa jail, seized Valento and two other gang members, hanging all three on a tree overlooking the Odd Fellows cemetery. Constable Landini, who had assisted Jackson with the Hickok case, was deeply familiar with Pacifica’s terrain. He knew every hidden valley and cow path; he knew every bend and turn of twisty Pedro Mountain Road. These skills proved invaluable later when the constable led a manhunt in Pacifica for Colma priest, the Reverend Patrick E. Heslin, abducted from his parish house in the summer of 1921. On food and horseback, Landini and his men fanned out from Colma, heading south toward Pedro Mountain Road. The manhunt was meticulous. After threading through the mass of scrub and thick underbrush high on the side of the mountain, the posse approached a “squalid shack” at the end of a narrow foot trail. Near the shack stood two horses, saddled, with a rifle holster hanging from each saddle. A search of the shack came up empty; the riders of the horses were nowhere to be found, nor was there a trace of Father Heslin. Constable Landini picked up the scent of Father Heslin’s abductor while interviewing a Salada Beach restaurant owner. Landini had a description of the kidnapper, and the restaurateur confirmed seeing the man, his clothes, gritty with sand. The clue led Landini to Father Heslin’s shallow grave located beneath a Salada Beach billboard advertising a pancake mix. Charged with murder in the first degree was William A. Hightower, a cook and former manual laborer for the Ocean Shore Railroad. In a sensational trial held at the Redwood City courthouse, Hightower was found guilty and sentenced to life in prison. At the time of Hightower’s trial, there were unconfirmed reports that he had ties to the underworld of Sacramento. Mr. Vonderlin, I’ve enjoyed reading Half Moon Bay Memories and El Granada Observer as well as your Pescadero Memories, particularly references to the OSRR, which I became acquainted with in the late 1920s. My uncle took my brother and me on a hike along the right-of-way from Thornton to Mussel Rock. Though the rails had been torn up, still it was obvious a railroad had been there. In 1939 I made several bike trips down the coast from San Francisco, once climbing to the top of the collapsed tunnel at Pedro Point to view the grade south to Devil’s Slide. And I also drove to Santa Cruz in a friend’s Model A Ford, borrowed from his brother, always looking for OSRR remnants. At Pescadero beach it looked like grading of the dunes had been done south of the “mysterious tunnel” bluff you described. On a much later visit I found the tunnel portal, and since the grading I’d seen earlier would have led to the tunnel site, I surmised that the OSRR had built the tunnel either as a pilot bore, or to use it to blow down the hillside for easier grading. Your north portal pictures puzzle me as they don’t appear to coincide with this surmise. I’ve never seen anything about this in the OSRR literature. Re the Palmer Gulch Trestle: I have a photo of it given to me in 1939 that shows the trestle had already started to sag in the middle. About 1960 a friend and I hiked down to it; by then it was sagging noticeably. On the north side was a large, weathered (tool?) box, about 12’x4’x4′ roughly. It had an old padlock on it which we left as is. We walked across the trestle, and my friend took pictures, of which I have a couple. Unfortunately, they are now badly faded (Polaroid camera?). but the rotted ties are still evident. I don’t believe it burned down because I saw an internet picture of it taken a few years after our crossing, and it was in nearly collapsed condition, and the text said it totally collapsed shortly after. Regrettably I didn’t add it to my OSRR “favorites,” and have never found it on the Web again. Thanks again for your interesting memories of the San Mateo coastside. I received this interesting email today. It reminded me the tunnel (s) story is not a mystery solved. I’ll get back to it. The gentleman from the cemetery has said he’ll show us it, so maybe it exists. I sent Angelo a picture of a burnt timber, though that might have happened after collapse. I loved that he lives in Sebastopol. I used to have a wonderful ranch/family orchard in the hills west of town during the Seventies. George Lichty, the cartoonist of “Grin and Bear It,” fame lived across the street. The Thomases who owned the American Opinion Bookstore (John Birch Society–remember them?) were at one corner, two gay interior designers from S.F. on another and a schoolteacher couple who were Sufis on another. A great time in my life to recall. Where has my youth gone? Mary Florey, Founder of Florey’s Book Co.
On Valentines Day Pacifica lost a sympathetic ear and a big heart. Mary Florey died after a prolonged illness at 81 years old. Mary, who founded Florey’s Book Co. over thirty years ago, will be remembered by many of Pacifica’s readers because she would always take the time to listen to everyone. Sometimes she’d offer advice but mostly she just listened to people expressing all of life’s joys and sorrows as they looked for the right book. She might sell them a book or send them to the library. Mary is survived by her lifetime partner, George Carpenter. She was the loving mother of Barbara Schlieve as well as James, Jon and Roy Florey and aunt to John and Mona Dean as well as Ralph Raymond Black and the late Lee Black. She is also survived by her brother Matt Black and his wife Nancy and their children Nancy, Caroline, and Janet. Her grandchildren include Aaron Schlieve who continues as the proprietor of Florey’s. Other grandchildren are Juliet Schlieve as well as Jessica, Michelle, Robert, Glen, Owen and David Florey. She was proud of each one. She was born in Kansas City, Missouri in 1926 and moved to San Francisco just before WWII started. She worked all her life, first as a waitress, bank teller, and sales clerk before deciding to open her own business and moving to Pacifica in 1977. Mary always supported local writers and her store was used for many, many lectures, events and meetings over the years. Just discovered your site. Love the old photos of Pedro Mountain Road! And the interview with Pete Douglas! Great site! Can you post some of the old photos in higher resolution sometime? descended back to Woodside and then Redwood City via Kings Mountain. The weather was incredible that day. History Mystery….Is Pacifica’s Notorious Madam, Dolly Fine? photo: The McCloskey Castle in Pacifica. Photo courtesy Sam Mazza Estate. If you have the answer, please email Kathy at Do you know anything about the history of the house at 2 Carmel Avenue in Pacifica? I used to live there and was told that during the 20s it was owned by a Madame named Dolly Fine(?) who used to help the rum runners and also worked in partnership with the McCloskey castle house, directly up the hill. Any information you can provide me would be much appreciated. âIn 1907 they got a train into Rockaway, no Vallemar. 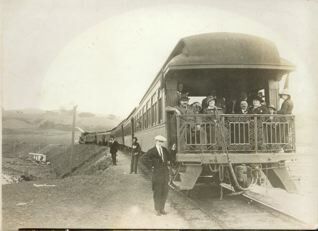 I think the first train rolled into Vallemar around 1907. They sent an engine down there with two coachesâand a load of people, a lot of promotion and activity. âPeople were assured that this was going to be the new âConey Island of the Westâ. All sorts of grandiose plans and promoters were springing up. And these communities along the way which were yet unnamedâwere coming to life like Granada. âThey even invited people to go down on weekends to give âem a free ride down thereâand a free lunchâand then when you got off the train down there, all these salesmen were there busy. Sales slips, you know, sign on the dotted line to buy lots. âThey assured people the railroad would be finished within a year or twoâand have wonderful rapid transit right into the heart of San Francisco. Business was so good for awhile that they didnât have enough coaches so they dragged out a bunch of flat cars and put benches in them, you know, and people rode flat cars with benches down there. âIf any of you have eer driven in an open car along here [Devilâs Slide] when itâs pretty windy, you can imagine how some of the ladies must have felt having their hats blow offâand I donât know what else especially when theyâre going around Pedro Point and Devilâs Slide. âIt gets pretty windyâespecially looking over the edge of a flat car and seeing the ocean down below on the edge of the cliff.â? Randolph Brandt smiled and laughed. âMust have been quite an experience. âThere were landslides from time to time. The Pedro Pt/Devilâs Slide area was a particularly bad section. On one occasion, I think around 1915, as a result of some fairly torrential storms, about a mile-and-a-half or two miles of right-of-way track just suddenly dropped from right under and fell into the ocean. âLuckily, there were no trains in the area at the time. âAnother problemâthe boulders came off the cliffs every once in a while onto the trackâ¦.â? “He, like a number of other people in the days when the stock was being offered to the public market, thought it was a good thing and it apparently was. “There are a number of banks and prominent people—quite a number of people, well-heeled financially that invested money in it. Mr. Downey Harveyt there, was one of the original promoters of the line and he dropped, I think, around $2 million in it. Of course, he was one of those people that inherited the money, you know, didn’t have to work for it. “And another man who was pretty well-off financially, too, was Mr. Foelder of the well known Foelger Coffee Company, and he dropped quite a bit of money into it—somewhere between a million and a million-and-a-half. “In those days, a million was not considered pennies. “Why not a line down the coast to Santa Cruz? “One of the reasons was tht they figured if they built the line through to Santa Cru they could take a lot of the business away from the SP [Southern Pacific], which had the monopoly up ‘til then by going the other way. “Look like a good proposition. No one else was in there. They started work from both ends with one crew working from San Francisco south, another crew starting from Santa Cru, working north. “Got along fine until a certain day in April 1906 when they had an earthquake. One of things they didn’t’ anticipate was a good deal of construction equipment, particularly in the area around Mussel Rock tumbled off the right-of-way and down into the ocean. “And part of the right-of-way, likewise, followed the equipment into the ocean—more financial loss—and additional expenditures the promoters hadn’t figured on. “Recovered from that somehow and they pared down the project a bit as a result of that. One of the shortcomings of the original promoters was that they were a little too grandiose in their ideas. 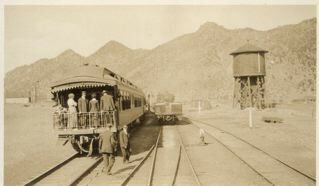 They started out—it was planned as a double-track electric, actually, to run from San Francisco to Santa Cruz, via Half Moon Bay. 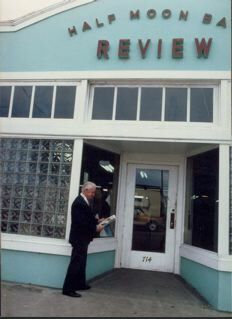 Ed Bauer moved to Half Moon Bay in 1960 where he became the publisher and editor of the Half Moon Bay Review for about 25 years. (In 1980 I interviewed him for my documentary, âThe Mystery of Half Moon Bayâ?. Here are some quotes that did not air). âThe community was essentially rural [when Ed arrived in 1960]. A rural community with an emphasis on agriculture. And it was just beginning to change from an agricultural area to a commuter or suburban area. âWhen I came here they were building 9-10 houses a year on the whole Coastsideâthat would be from San Gregorio into Montara. âAnd the cost of lots in Montara was from $300 to $400 which was less than the sewer assessment for the lot. So it was still pretty muchâ¦Iâd describe it s a rural area in transitionâ¦. 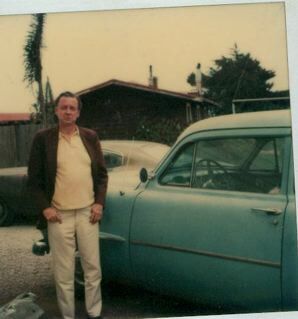 â…In the 1960s I made a statement that I didnât want to see Half Moon Bay become another Pacifica. We wanted balanced growth. We didnât want to see ultra-high density population and rows and rows f houses with no open space. âWhat we were looking for was balanced growth. Thereâs enough area over here for a balance in the growth. âI think this is what the City of Half Moon Bay has been attempting to accomplishâof having a balance between open space and housing. âOne of our biggest concerns was the people of San Franciscoâwe could see them pouring into Pacifica which had this ultra-high population density. And, with this came problems in schools, crime, and traffic, public activities and taxes. âYou get whatâs called a âbedroom communityâ which has an economic imbalance. âWe want to have some agriculture. We wanted to have some fishing. We wanted to have jobs for people who live hereâ¦â? âParts of coastal communities in California are exempt from the Coastal Commision: L.A., Santa Cruz, San Francisco, exempt. By political pressure they were able to get special concessions because they have more political muscle. âThe Coastal Commission is one law for one group, another law for another group. 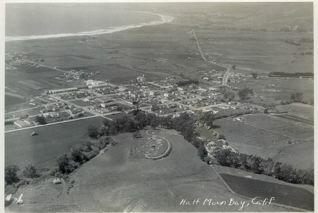 âHalf Moon Bay, because of the lack of political muscle, couldnât stand up to the Coastal Commission the way other cities could on the coast. the very same people have gone to the Golf Links. ââ¦I donât think Montara Mountain is going to be packed with house side-byside. I think even if the Coastal Commission hadnât been in effect, there are certain pressures operating, just like they operated against the Ocean Shore Railroad.â?